Bobby Holland Hanton, is one of Hollywood’s top stuntmen, doubling for actors such as Daniel Craig in Quantum of the Solace, Chris Hemsworth in Thor and Christian Bale in The Dark Night Rises. His other credits include Inception, Harry Potter, Skyfall, and more. He has won 2 SAG Awards and has been nominated for 2 Taurus World Stunt Awards. 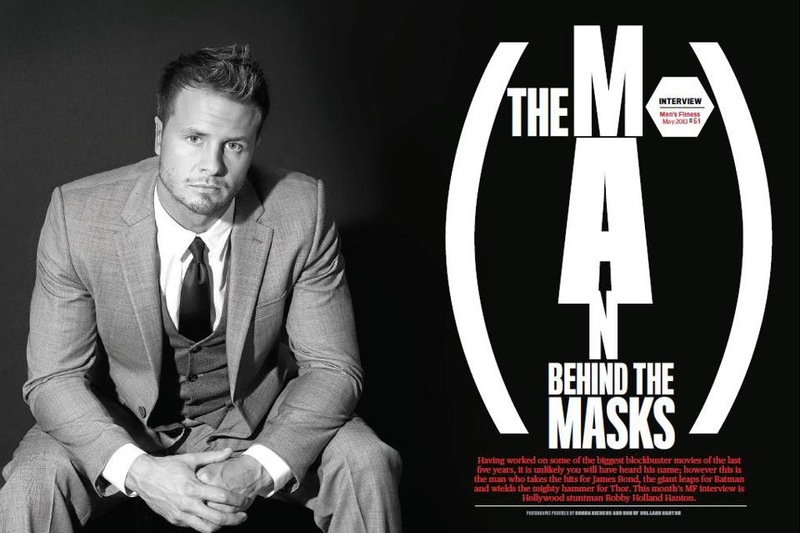 Here is his feature in the May issue of Men’s Fitness Magazine.